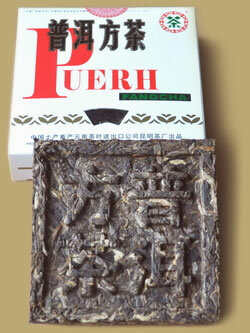 Pu-erh Fangcha is one of famous tea products from CNNP, the tea was first produced in Kunming tea factory in 1960's. Since 2006, CNNP put anti-counterfeiting label on box. This excellent green Pu-erh is perfect for long-term aging.